In 2009 we had just picked up Daniel Defense and at that time Larry Vickers (LAV) was working with them to help launch their new line of AR-15’s. Larry came to our facility to train us on the features and benefits of the line and we instantly hit it off. Throughout the next few years, we would catch up at various industry events and even crossed paths at airports. Every time, the conversation turned to carry pistols and what was good and what wasn’t so good on the market. 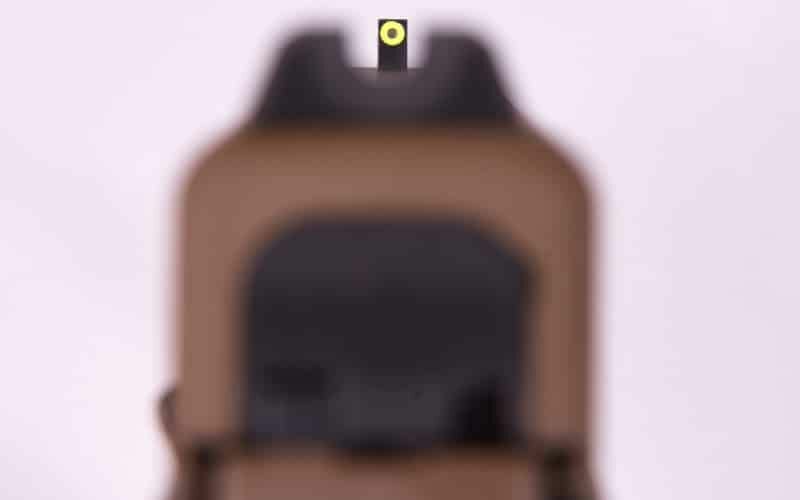 We agreed that when you get down to it, the Glock 17 and 19 are pretty tough to beat. In fact, both Larry and his buddy Ken Hackathorn have been quoted as saying the Glock 17 and 19 are the universal service pistols. 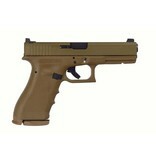 Full FDE has been a staple in the Exclusive catalog for several years and now boasts the popular Vickers customization. 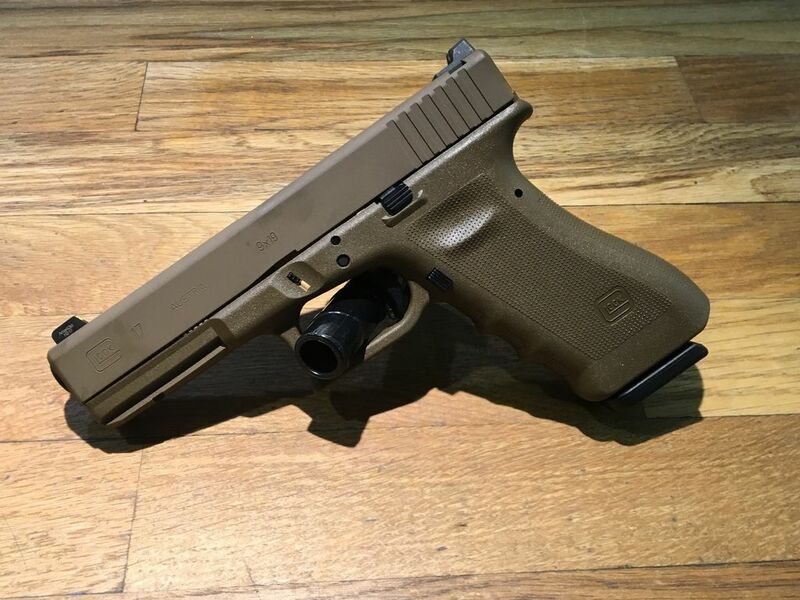 The Full Flat Dark Earth Vickers Tactical G17’s and G19’s feature the RTF2 frames along with Tango Down magazine base plates. 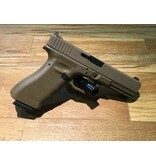 A matching FDE grip plug with integral GLOCK tool is also included. 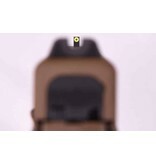 The front sight is a green/yellow tritium Ameriglo Pro I-DOT with the Wilson Combat U-Notch rear. LAV is a big fan of the RTF2 grip texture. 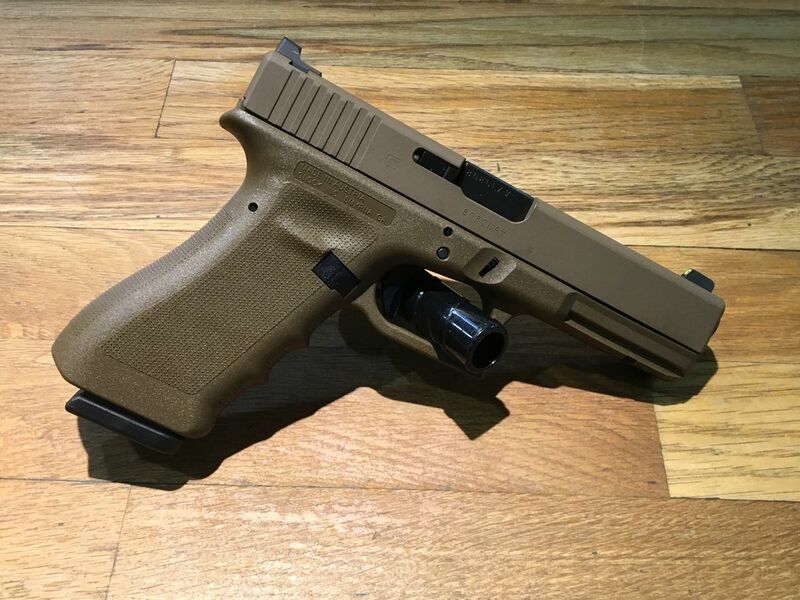 The RTF2 is an aggressive texture that was featured for only a few years on Gen 3 Glocks. The original RTF2 guns had the new “fish gill” slide serrations which Larry did not like. Not only were they not visually appealing, they actually were not as effective as the standard vertical serrations. So as a base gun LAV spec’d out a RTF2 Gen 3 with standard vertical slide serrations. 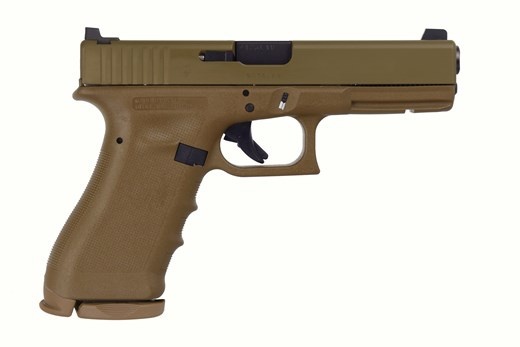 He also liked our FDE color frame guns, so he requested that color as it had never been done in a RTF2 frame. TO SAY THESE GUNS WERE A SUCCESS IS A MAJOR UNDERSTATEMENT! 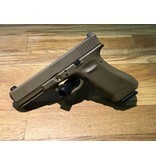 THE RUN SOLD OUT EXTREMELY FAST WITH GUNS SELLING ONLINE FOR WAY OVER MSRP WHEN YOU COULD FIND THEM.